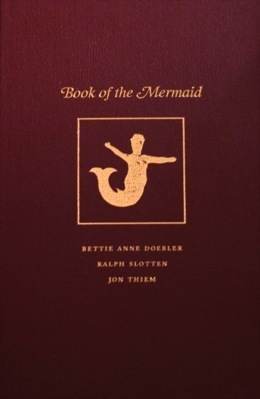 Many of the following pieces were published in the Book of the Mermaid (2001) and Nine Waves (2003)—both volumes are available through Sutter House, P.O. Box 212, Lititz, PA 17543. Additional poems can be found here. We were seven, Johnny, Denny, Mikey, and me. we wanted a campfire to warm us in the wild. Our houses had no hearths, no fireplaces. We had the new invention, TV. fine white flour silting up our dreams. We skipped into the woods. We went in deep. Mikey struck a match, the pile puffed. What happened next we never saw on NBC. burning bushes leaping in our way. Too late, too late I thought of Smokey Bear. our little soldiers, sisters, all we treasured. their sirens weaving ribbons all the way. Ten acres of Delaware woods laid waste. that neither of us knew, and learn it well. my eyes and put my finger on the page. I lift my lids. I raise my little digit. to know, a color I could never see. No matter. The word did conjure up the stone. unfading lumen, star of my third eye. to faridãt, old Arabic for gem. that made the others swim into my ken. Copied the color of your eyes. It made me long for you. But March still loves to play her tricks. And thaws the frozen sticks. Down the skin of a white birch tree. Of wet hair, curling and free. Of anguish struck upon a harp. That slips into my heart.